Human rights organizations condemn the continued execution of death sentences against civilians through military and anti-terrorism trials, and demands the respect of law and human rights. 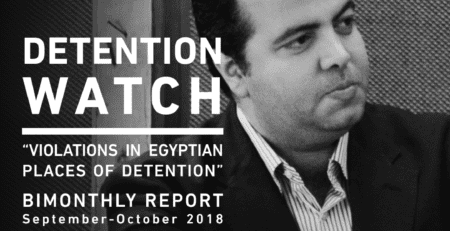 The organizations signed below condemn the death sentence execution that took place on Tuesday, January 30, 2018, against the Egyptian citizen Tayseer Odeh Sulaiman, who was convicted in a flawed trial and inconsistent with the legal and human rights standards, in case NO. 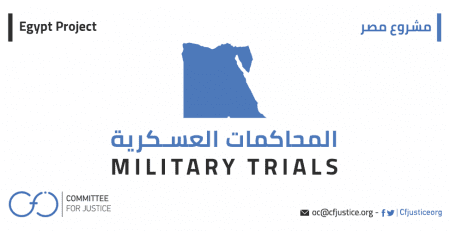 99 of 2014 Supreme Military Court of Ismailia.The said organizations confirm that there is an unprecedented increase in the implementation of death sentences in Egypt on the basis of illegal measures. 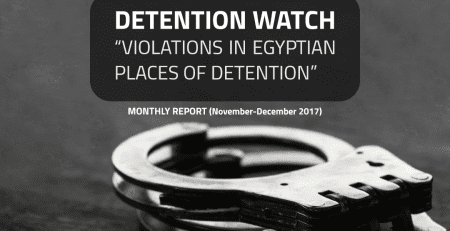 This has become a weekly news without deterrence of any law or international agreement, until the number of Egyptians who has been executed reached 26 persons from 26 December 2017 until present. The Military Court of Criminal Procedure, held in Ismailia, sentenced the accused Tayseer Odeh Sulaiman, 25 years old, to death by hanging. The Supreme Military Court of Appeals recently rejected the appeal against the defense of the defendant’s lawyer without giving any reasons for the refusal. 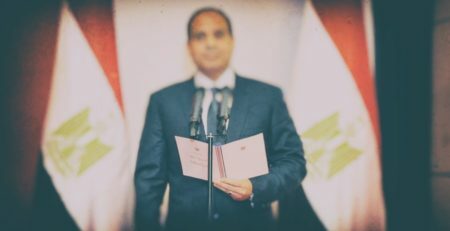 The Ismaili Military Prosecutor earlier ordered the case to be referred to the Military Criminal Court, which initiated proceedings without taking into account the guarantees of a fair trial for the accused. 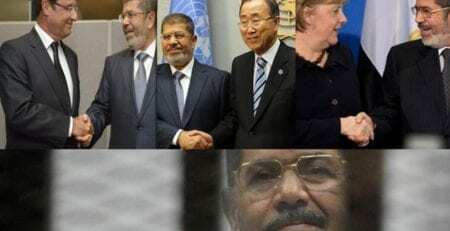 The organizations signed below confirm that the justification given by the Egyptian government for the implementation of the death penalty “under the guise of combating terrorism” is misleading pretexts that purposely conceal the truth, as the role of the criminal justice system in addressing counter-terrorism issues is being neglected, making violations of the basic standards of fair trial increasing day by day, indicating the significant flaw in the judicial process in Egypt. The execution of the Egyptian citizen Tayseer Odeh Suleiman comes two weeks after 13 human rights organizations sent a letter to the Secretary-General and the United Nations High Commissioner for Human Rights asking them to intervene with the President to use his powers to replace the death penalty with another penalty, and that the Egypt government would voluntarily declare a moratorium on the death penalty in any new cases, with a view to abolishing the death penalty and reviewing all death sentences, and to ensure that defendants are brought to fair and fair trials. 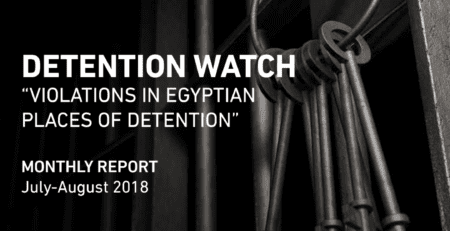 This was met with the issuance of a statement of five of the special Rapporteurs on 26 January 2018 demanding the Egyptian government to stop the execution of 26 people, who Tayseer Odeh, was one of them. The organizations say that despite our opposition to the death penalty as a punishment that could amount to inhumane punishments, the execution of the death sentence against Tayseer Odeh Solimann violated the law even the military code, and violated the guarantees and legal rules governing the proceedings in accordance with Egyptian law, while the Egyptian authorities insist on claiming that the military judiciary is independent and impartial and is based on the implementation of the Code of Criminal Procedure and the Egyptian Penal Code. 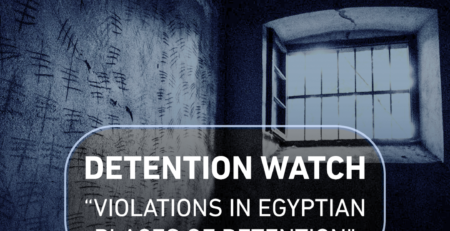 The signatory organizations affirm that the effective measures taken by the Egyptian Government to combat terrorism and protect human rights are not incompatible, but complementary and mutually reinforcing. As ensuring respecting human rights for all citizens and the rule of law are the cornerstone of defeating terrorism, they are two essential things, which are indispensable if counter-terrorism plans are to succeed. 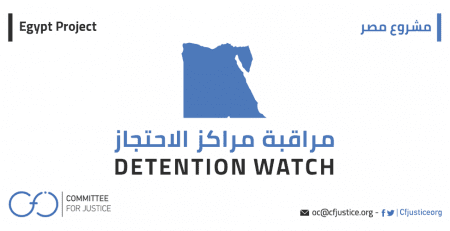 The organizations call upon the Egyptian Government to give due consideration to and implement those recommendations, including those relating to the principle of legality of proceedings and due process of law, in respect of the promotion and protection of human rights in the context of the fight against terrorism emanating from United Nations human rights mechanism. 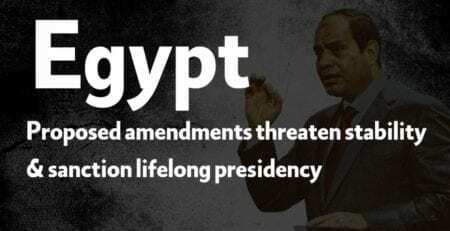 This includes the recommendations of the Human Rights Council under the universal periodic review, and recommendations by relevant special procedures mandate-holders, human rights treaty bodies and the High Commissioner for Human Rights, including those of Egyptian civil society.